After landing in Zurich, we drove about 2 hours southeast to the beautiful town of Arosa, Switzerland. Though we were all fighting jet lag, we were struck by the gorgeous views as our cars followed the winding roads to the quaint town. 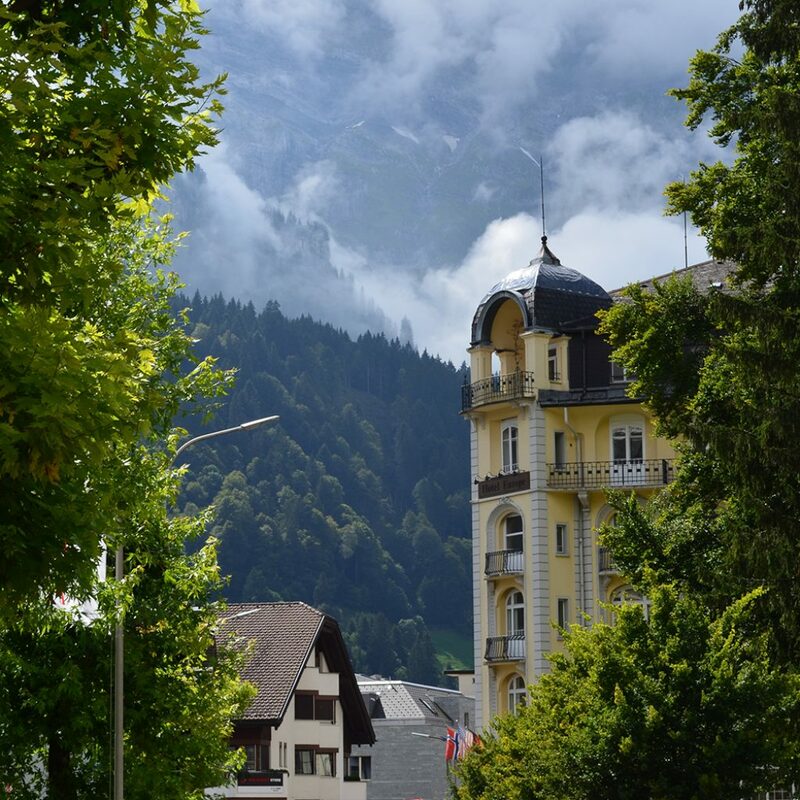 Colleen Kelly uncovers quintessential Switzerland, family style! Starting the adventure with a scooter tour in the town of Arosa, Colleen joins area families at a cheese factory to learn about one of Switzerland’s most well-known culinary delights. Her exploration continues in the Aletsch Arena area, where she meets an expert to learn more about the largest glacier in the Alps and a Unesco World Heritage Site. To get a bird’s eye view of the area, Colleen tests her bravery and leaps off a mountain on a paragliding adventure… what a way to see Switzerland! Colleen joins a family snow tubing down a glacier! It’s a fast slide down to the bottom, but the thrill is well worth it — check that one off the bucket list! Last, but not least, Colleen accompanies a family on a tour of a local chocolate factory where they not only learn about the addictive Swiss treat, but also are able to make their very own bars of chocolate to take home. You can’t ask for a better souvenir! Click here to stream both Switzerland Episodes of “Family Travel” on Amazon Prime today!